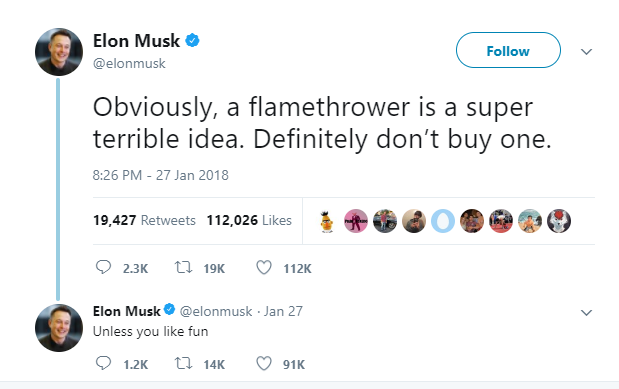 It seems odd but recently, Space X Elon Musk’s Boring Company unveiled their newest product: a flamethrower. 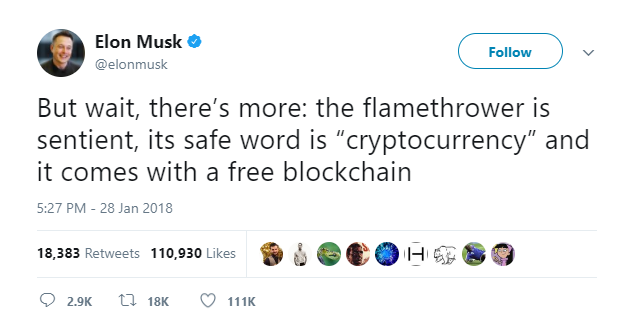 Elon Musk created The Boring Company in 2016 to create ways to easily and safely tunnel underground so to help with construction jobs, infrastructure, and other terraforming projects. Starting Out As A Tweet! 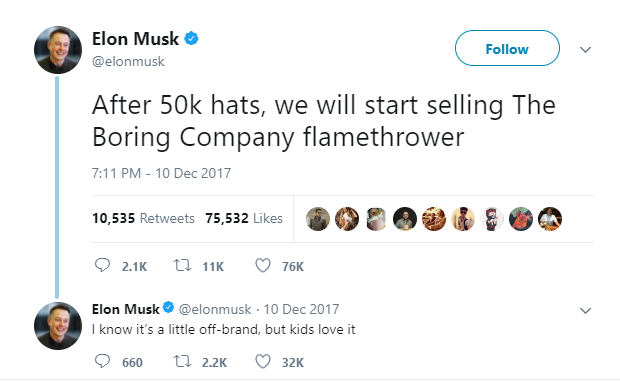 In December 2017, Elon Musk put Boring Company hats on sale and tweeted “After 50k hats, we will start selling The Boring Company flamethrower.” And as Expected 50k hats were sold if not more and it seems the Ol’Musky stayed true to his word, he went on and made a flamethrower! 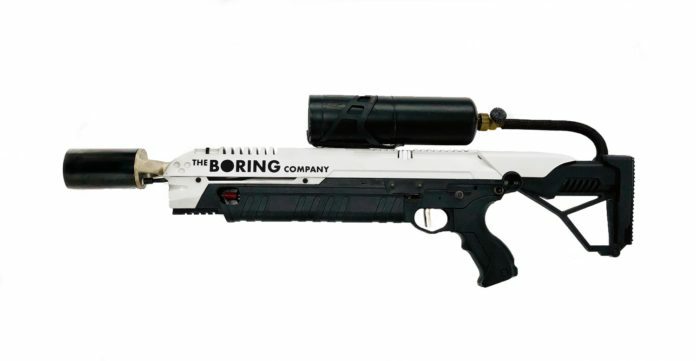 In only 48 hours The Boring Company has sold over 15,000 Boring Company Flamethrowers at a figure of about $7.5 million. The Boring Company Flamethrowers are expected to be shipped this Spring.